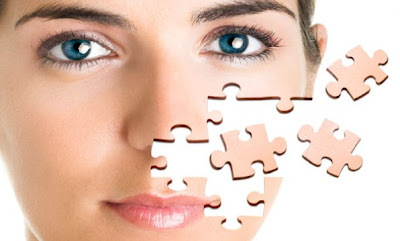 Acne is a skin ailment that affects especially adolescents, but women also get rid of suffering, which caused us enough problems as it must apply concealer to cover the grains, cleanse the skin more often to keep getting worse and not be tempted to tighten the pimples and blackheads that accompany it. Chocolate causes acne: Fortunately for chocolate lovers, it's just a myth. The eating chocolate does not cause acne, although it has been found to contribute to its appearance sugars and oils used to produce it. So if you can not resist the chocolate, choose the purest. Well enjoy and care for your skin. We should not wash your face more often when we Acne: Reality. If we wash the face several times a day thinking that this would remove the dirt that accumulates on it, all you achieve is to end the irritated skin, which would cause that obstruct the pores and acne increase. We wash only twice a day, as always, her hands gently from the area where we have acne. The use of cosmetics cause acne: Myth and reality. Some products can clog pores, which cause acne, but we can choose specific products for acne-prone skin and avoid this problem. Remove blackheads with your fingers makes the problem worse: Reality. No matter how careful you say, when we extract the pimples spread bacteria from the surrounding skin, which will result in a worsening of acne. While Hollywood stars have been commissioned to extend the craze for sensual and fleshy lips, these are not conducive equally to all female faces, and many women are much more attractive with her natural lips, although thin, with lips artificial collagen fillers, often with a result a bit unsightly. Remove from your cosmetic bag cosmetic tones or dark mates, and that emphasize the thinness of the lips. Instead you should choose light colors, preferably with pearl or metallic shine, because they produce a volume effect naturally. Please add to your daily ritual of applying makeup gloss lip gloss, which will also feel fuller lips. Some homes offer lip gloss with a hint of pepper that makes your lips swell slightly, gaining more volume, but you must not overuse these products. Do not use the eyeliner, even in the same color as your lipstick, because the mark out and make them appear even thinner. Instead, it is best that you apply lipstick generously, reviewing slightly above their natural edge is to increase its volume. Apply with a brush to achieve a natural look and finish that you like yourself. Apply regularly conditioning bar lips with sunscreen, so that your lips will not only be well protected, but will be fully hydrated, preventing cracking and spoil your makeup. We all dream that lipstick, whatever we do, eat, lets kiss, etc, will not disappear from our lips. Although many brands promise an extra long length of the bar, not always the case, so we give you some simple tips for choosing infallible lipstick that offers greater durability. Should slide lips without need for pressing hard. The color should be the same when you paint the upper and lower lip. After some hours of use, the color should remain stable. It must also withstand the light without losing brightness and consistency. As usual we painted lips for several hours, it is advisable that the product has a mild and pleasant aroma (without too much perfume) and a delicate flavor. This is especially important if you are used to moisten his lips with his tongue when dry notes. The texture should not be greasy or dense, but it's much better that bar that when your lips let slip a thin film of color, good gloss and adhesion. 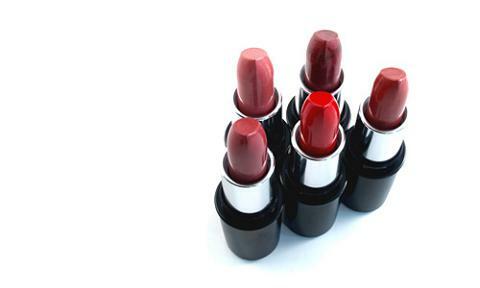 A good lipstick should resist that apply gloss over, no color distortion and no color mixed with glitter. 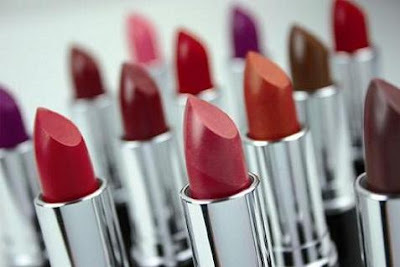 Do not forget that a good lipstick is defined by its structure, character and consistency. Do not be misled by the color of fashion, but look right for your personality or according to how you feel that day. You can try different brands and colors to find what really suits you and, yes, when you find it, do not let go of it. Few things inspire us both as a pretty face lip color. Mates: This type of bars is not bright or very little. Last longer when applied on the lips but has the disadvantage that it can make us look chapped lips. There is a belief that can only be used if you have big lips, but can be used in all types of lips. Creamy: They are the most popular because they provide a bright, creamy finish to our lips, but the color lasts less than the mate. The advantage is that, being creamy, while we paint our lips, it also hydrates. Colored liquid. Main disadvantage is that not last long and we must be applied continuously, but are ideal if you have thin lips. Gloss: They add color and sparkle to your lips, but they are almost transparent, so are great if you like to have a natural look. A good idea is to apply on the pen or creamy matte lip service to deliver more brightness. Special lipstick: Here you can find the makeup for the lips that provides additional benefits, for example, to make our lips look larger. They do this proque are formulated with substances such as pepper to make a temporary, swollen lips and look a little bigger. We can also include moisturizing bars, which are cream bars that include other ingredients such as vegetable waxes or aloe vera. They are very creamy, but not last long, continually moisturize your lips. At all times of the year, our lips are susceptible to cracking, but this tends to occur mostly in winter. The cold and wind easily damaged the sensitive skin of the lips and if we do not protect as appropriate, we run the risk of drying, cracking, and in case where the cracks are very deep, even bleed and causing little pain. Moreover, although not reaching to crack, can fill that prevent us from pielecitas lips look bright as we like. If your lips have made the pielecitas appearance, the best way is to exfoliate them disappear, for which you can use sugar or one of many exfoliating lips you'll find on the market. However, if your lips and cracks, it is best cleaved with yogurt, applied to the lips and letting it stand for several minutes. Yogurt exfoliate and soothe the irritation. Then moisturize lips and you will be protected. Ointment, almond oil, almond oil and need beeswax bee. Put the wax to melt in a water bath and then add the oil. Then wait until the mixture cool and then apply it on the lips before bed and after waking up. Check, as every day, the cracks are reduced and your lips stay hydrated. Aloe vera: A very effective remedy for chapped lips is to cut a piece of aloe vera plant, wash it well and apply the sap on the lips when they are severely cracked. The aloe vera will help heal the lips and regenerate tissue. Probably expect to get as much as possible the appearance of wrinkles on your face right? The crow's feet and lines of "laughter" are very common with the passing of time. Although it is unlikely that your lips are wrinkled too soon, your lips are not immune to the aging process. As they age, the thin lips are thin and tend to lose their fullness. Collagen is something that is already in the skin naturally. The human skin consists of three layers (epidermis, dermis and hypodermis). Collagen is a protein found in the dermis, the middle layer, and gives the skin its structure and shape. As a person ages, however, collagen production begins to decline. This results to be disappearing into the skin elasticity, causing the appearance of wrinkles or lips will lose their shape and fleshy. In recent years, collagen injections are a common way to get the fat back to her lips. There are different types of collagens. One of them is from cattle, as its name implies, is the one that comes from cows. Always consult your doctor.